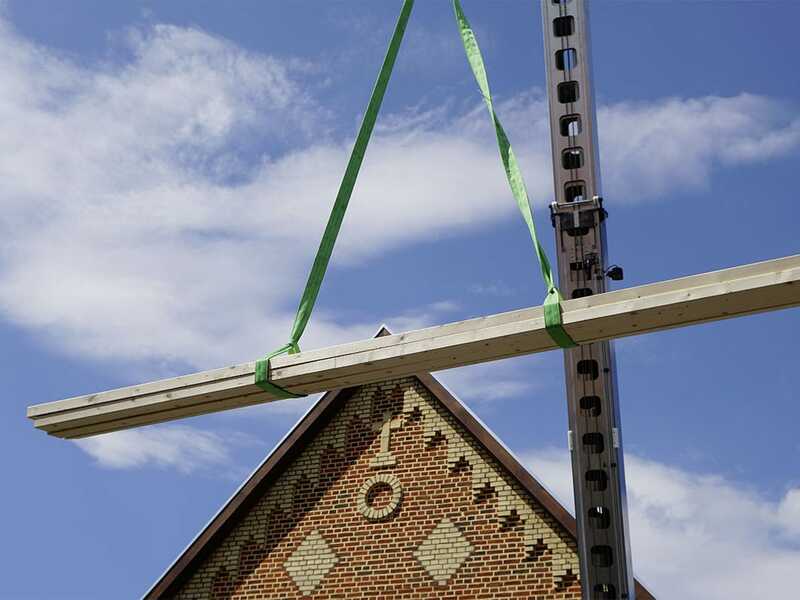 Fastening and safely transporting building materials is no problem with the Klaas lifting gear. Hook chains and lifting belts are available in various lengths and designs. Subject to technical changes. All dimensions are approximate. The right is reserved to alter the functions and performance. The information reflects the appliance performance at the time of publication.